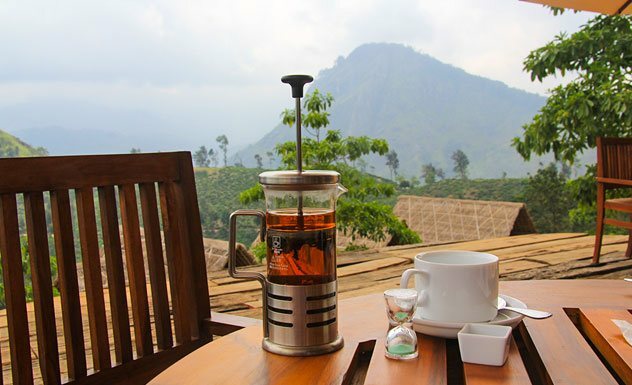 Built on a scenic tea estate on 98 acres of land in gorgeous Ella, 98 Acres Resort and Spa once belonged to a colonial-era tea estate, famously known as the ‘Southerland Tea Estate’. 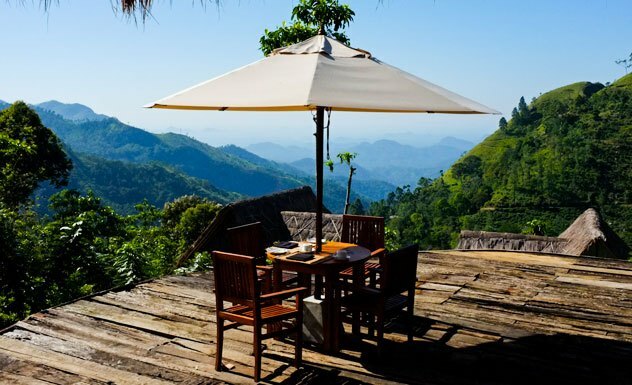 The old plantation has been converted into a promising, eco-friendly boutique hotel with stunning views of Little Adam’s Peak and the Ella Gap. The property’s design and construction reflects their commitment to the environment, as the majority of materials used in the construction have been recycled. 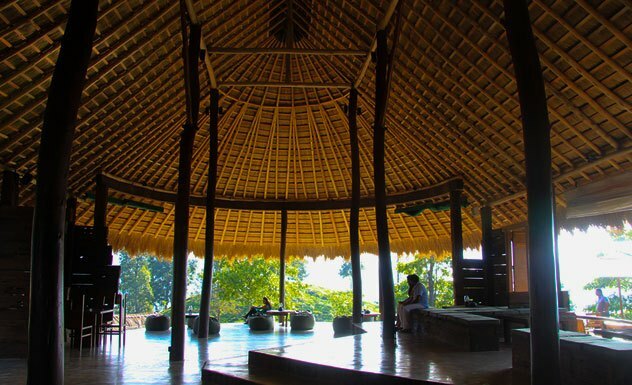 ‘Illuk’ straw has been used to maintain cool temperatures, exuding a true Sri Lankan identity and elegance, while discarded railway sleepers have been put to good use in the construction of decks and walls. 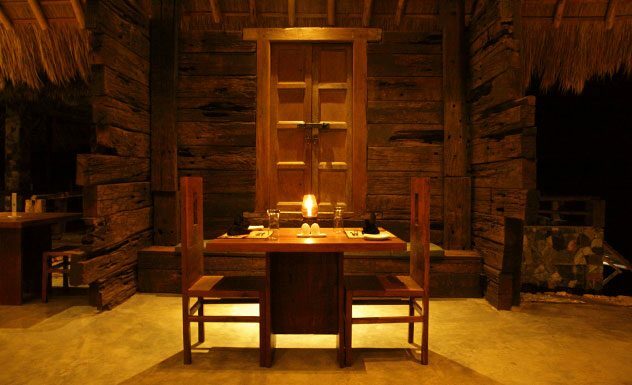 The furniture has been made by expert local artisans, using widely available timber for a warm and rustic atmosphere. Rough, hewn granite rock lends a simple, hand-crafted elegance to the look and feel of each villa. 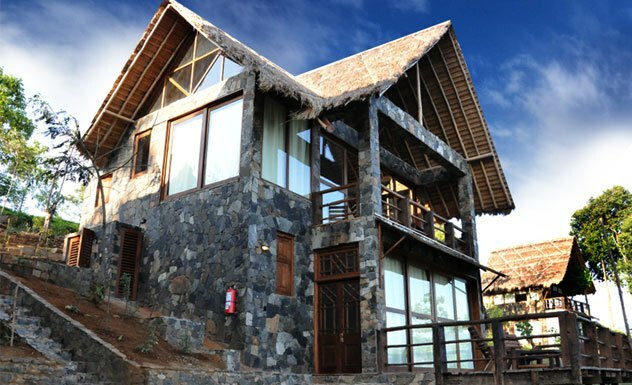 The property has a beautiful pool, elegantly constructed with a deck of natural cut stones and a baby pool for children. 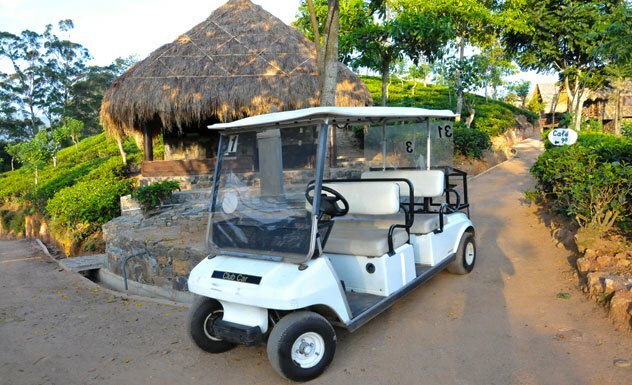 98 Acres also offers a range of herbal spa treatments using specific ingredients derived from locally-grown tea and other plants from the estate. All treatments are done in the privacy of a guest’s room. 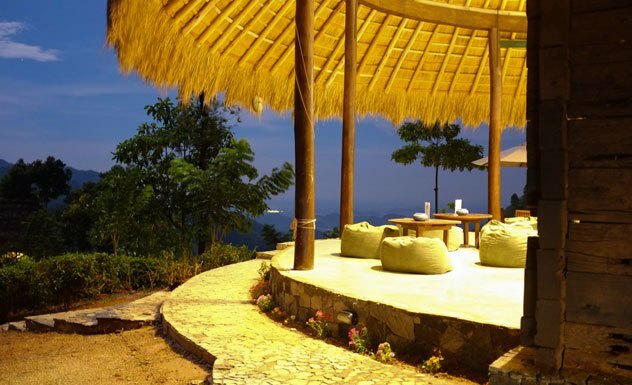 For guests who prefer to fly in, the resort-owned helipad is located just five to ten minutes away from the property. 98 Acres has a collection of exquisite chalets, spread across Superior Rooms, Standard Rooms, the Greenland Suite, Honeymoon Deluxe and Premium Deluxe. Each spacious superior room has its own private living area and offers breath-taking views. They feature beautiful polished timber floors and elegant furniture, king-sized beds with feather soft pillows, a veranda and modern amenities including free Wi-Fi. The open-sky bathrooms include a separate traditional stone shower and oversized bathtub. The standard rooms are a little smaller in size and do not have bathtubs, but are bright and offer the same views, but feature titanium finished, polished cement floors for a more rustic feel. Complete with a balcony, the bathroom comes with a separate stone shower for a truly authentic experience. 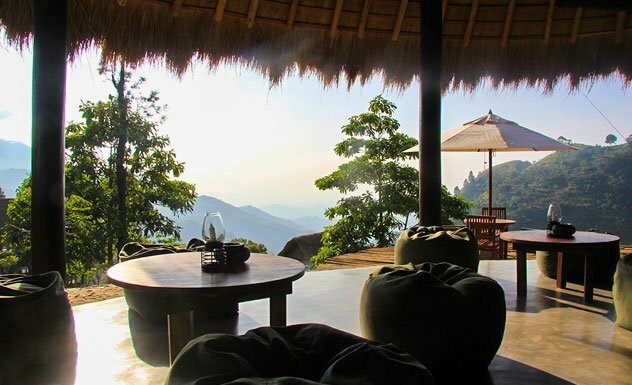 This suite is absolutely stunning, with panoramic views of the misty mountains beyond and all modern amenities for a luxurious stay. It also has cooking facilities, with all necessary equipment provided. Each of these deluxe rooms comes with its own private living area, large stone bathtub for relaxing in and spectacular mountain views. 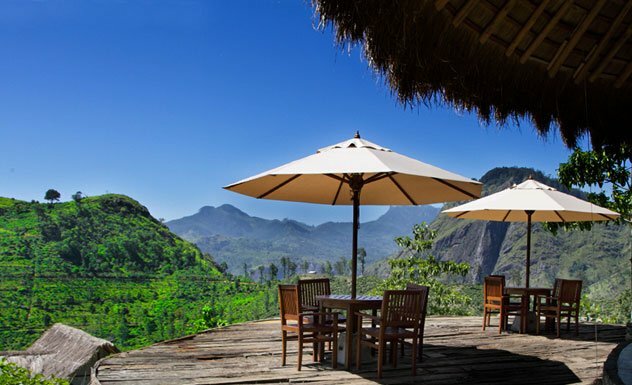 The Premium Deluxe offers either a balcony or terrace and large bathrooms overlooking the expansive mountainside. The rooms are elegantly decked out with polished timber, titanium floors and all modern amenities. The 98 Acres culinary team pulls off a wide variety of dishes including Sri Lankan, continental and eastern delicacies. Make sure you try out the menu of signature dishes with specialty tea soups and sauces. 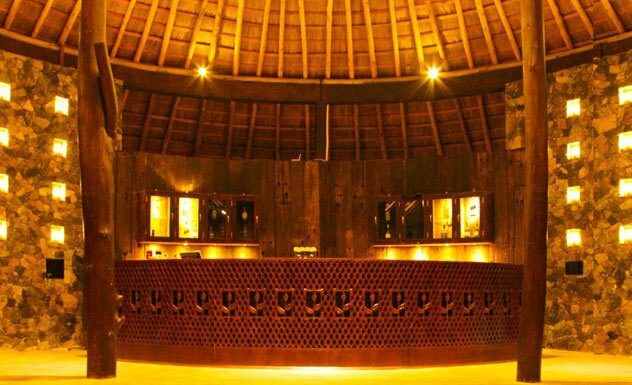 The resort’s uniquely-designed Bar 98 has been constructed using recycled timber from old railway sleepers and features an extensive list of wines and spirits and a range of ‘Tipsy-T’ mocktails, cocktails and fine teas. 98 Acres welcomes children of all ages. Children aged between 3-10 years are charged 60% of the usual meal rates, whilst children aged 10 and above are considered as adults.